Beyond The Goal: The Official Biography of Baichung Bhutia explains that what Sachin Tendulkar is to cricket in India, Baichung Bhutia is to football, a relatively less popular game in the subcontinent. Nevertheless, the Sikkimese is a household name in India because he was not just the best football player of the nation but also of the entire continent. Indeed, the Sikkimese Sniper, as he is fondly called for his superb shot accuracy, has been winning the hearts of one and all ever since he stepped into the football field in 1993 with his unbelievable skill and charming looks. Bhutia provides ample fodder for a biography not just because he is a football icon in the continent but also because his career has not been without its fair share of controversies. It is the career path and controversies of Bhutia that the author, Islam, delves into in this book. The author has touched upon the footballer's relationships with his coaches, the various clubs he played with during his time and, of course, his much-talked-about retirement. In tracing the high and low points of Bhutia's football career, what Islam effectively does is give readers a deep insight into the good, bad and ugly of the football world in India. What also makes Beyond The Goal an enjoyable read is the fact that it features some never before seen pictures of the footballer. In addition, it has some insightful accounts by Bhutia's fellow sportspersons, including boxer Mary Kom and athlete Sunil Chhetri. The foreword for the text has been written by none other than the cricketing legend, Sachin Tendulkar. 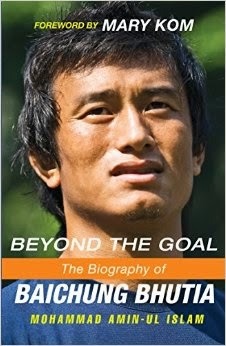 Beyond The Goal: The Official Biography of Baichung Bhutia has been published by Random House and was released in 2014. It is available in paperback. Mohammed Amin-ul Islam is an author who has worked with several publications such as The Indian Express, The Asian Age, Amrita Bazar Patrika, The Pioneer, Zee Sports and Sahara TV. He has also served as the Assistant Editor of The Times of India. Islam's other publication is titled The World Cup 2002. He also writes a column for Sportskeeda and has his own blog on which he analyses the growth of football in India. In 2012, Amin was voted as the best football columnist from India. The author is now living in Doha and at present is focussing on interacting with the big names in the football world. Coming from a state where cricket is a religion I was introduced to Baichung Bhutia when he became the star player that he is, before that I didn’t know him much. After that I fell in love with him in Jhalak Dikhla Jaa. The finesse with which he danced, added to it his cute impish smile made my heart flutter like crazy. He was one star I loved a lot throughout the show, making me vote for him throughout the show. I remember dancing like crazy in joy the night he won. After the show ended there was a strange vacuum in my life for long. When I saw this book in the list, I knew I had to read it for the sheer love I had for it even now. Hailing from such a humble background all that he has achieved today is nothing less than a miracle which speaks a lot about his hard work and dedication towards his goals. He is someone who is truly an inspiration in every manner to each one of us. I got to know a lot of things about him through this book which have not been out in media till now. Like his real name, his particular habits, nature, likes –dislikes and most importantly his failures. Every article that we read talks about his victories but in this book the author talks about his failures, making us realize how like each one of us he is also a human but it was his firm determination and grit which took him to the heights that he is today. Overall a book that made me fall in love with Baichung a little more than before with some more respect and a lot of fan girl moments throughout the book. I am in total awe of this man and I wish someday I really get to meet him in real requesting for an autograph on this book. 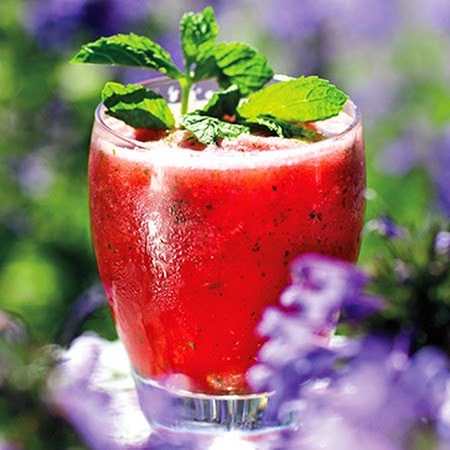 This book is like Melon Mint cooler - refreshingly different. True,being a player is not the criterion of conquering minds. Their mode of behaviour plays a roll well.Nice.